On Saturday August 20, 2014 B.K.S. Iyengar died at the age of 95 in Pune, India. His passing has me reflecting with gratitude on the lineage from which I come and the golden chain of teachers that are responsible for passing down the teachings of yoga. When I lived in Toronto, I spend many years studying at Esther Myers’ Yoga Studio. Esther Myers studied with Vanda Scaravelli and Vanda Scaravelli studied with B.K.S. Iyengar. Let me tell you a little bit about each of them and how their teachings have passed down through the golden chain of teachers. Vanda Scaravelli received private yoga lessons from Iyengar first in Switzerland and for many years thereafter. Vanda credits Iyengar with her health improving. A little later, Vanda Scaravelli learned from Desikachar, the importance of breathing. Vanda Scaravelli’s approach of the three friends, “gravity, breath and the wave (connected with the supple movement of the extension along the spine). These three companions (fused in one) should constantly be with us.” was born. 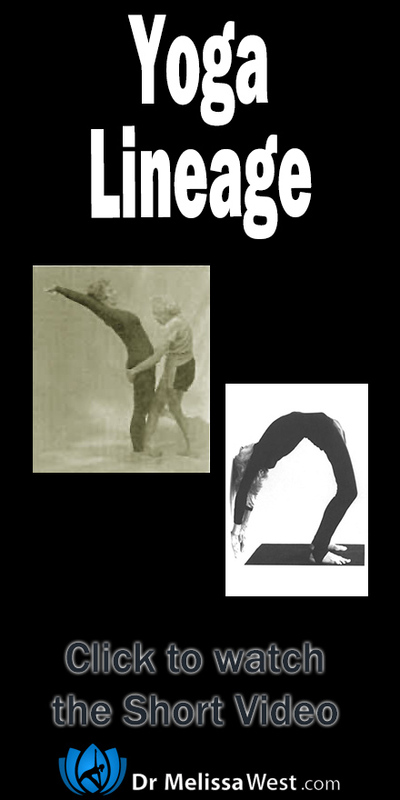 Esther Myers began her yoga studies with the Iyengar yoga method. 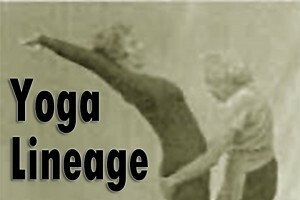 In 1975 she started teaching Iyengar yoga in Toronto. It was in 1978 while studying in Italy that she met Vanda Scaravelli. In time, Esther made the difficult decision to move away from the Iyengar style of teaching and fully embrace the style she was learning from Vanda Scaravelli. Esther was one of the most amazing stuart’s of Vanda Scaravelli’s work and taught beautifully on the breath, the ground and the spine. This style of yoga continues to be taught Esther Myers. Inspired by the teachings of Vanda Scaravelli (1908-1999) and Esther Myers (1947-2004), the teachers stay true to the profound connection between the breath, gravity, and spinal elongation. The core premise of the practice is that because we are always breathing, and gravity is always acting on the body, one can harness and utilize these powerful tools in order to mobilize and enliven the spine. I am grateful for the time I spent practicing and studying at Esther Myers Yoga in Toronto and for the lineage out of which I’ve grown and evolved. I am grateful for the time that Iyengar’s passing has given me to honour the lineage and golden chain of teachers who share and evolve the teachings of yoga. Previous post: Who was B.K.S. Iyengar?